Sabine Springer was born in Germany. She came to Ireland in 1990. In 1999 she graduated from N.U.I. Galway with an Hons. degree in science and also had her first solo exhibition of prints. 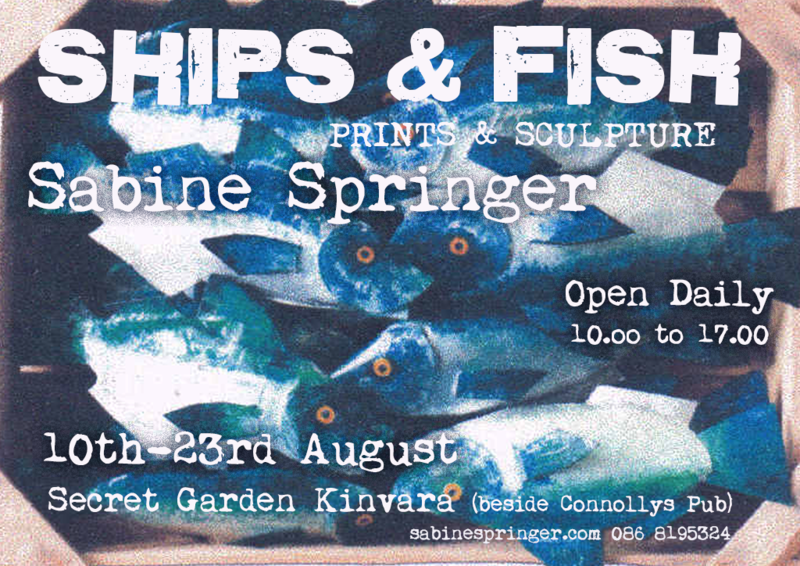 She began printmaking at RTC Galway in 1996 during her university studies of Zoology, Botany and Geology and was immediately strongly attracted to the technique, in particular etching. Not surprising, as both her grandfather and great-grandfather worked as master engravers in Stuttgart. On a personal level, the work has become very important, in that it fills the aesthetic and emotional gap she feels is created by the modern scientific approach to nature. She recognises that visual art is a different and older form of knowledge. Her aim is to make us more conscious of this knowledge and nature again. Contact: Sabine Springer, Geeha, Doorus, Kinvara, Co. Galway, Ireland.